Sold vibratory roller compactor tandem smooth drum dynapac cc624hf cummins diesel 84 in. We are Manufacturers and Suppliers of walk behind vibrating roller. Our customers can take from us Road Roller. These products are extremely demanded in market for their durability and long service life. 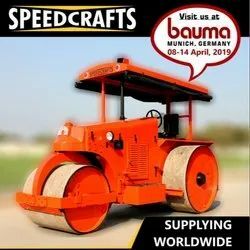 Strong Brand Diesel Road Roller, Model STRONG - 10 (4 speed) & Model STRONG - 10 ( III) (3 speed), 8 - 10 tonnes capacity, conforming to IS : 5502 of 1988. 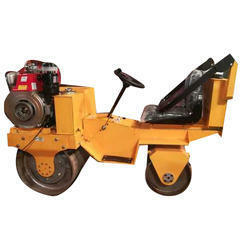 Road Rollers are used to compact soil, gravel, concrete in the construction of roads and foundations, agricultural purpose. They are widely used in road-making.